Susie's Reviews and Giveaways: Welch’s Valentine’s Day Fruit Snacks With Emoji Faces! Welch’s Valentine’s Day Fruit Snacks With Emoji Faces! 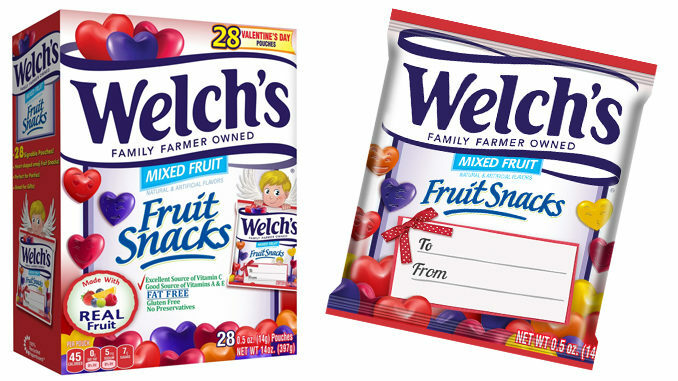 Valentine's Day is right around the corner and Welch’s celebrates Valentine’s Day 2019 with the return of Valentine’s Day Fruit Snacks. The limited-edition Welch's Fruit Snacks Valentine's Day box and pouch have custom Valentine's Day-themed graphics with heart-shaped pieces and fun emoji faces. Even better, these fruit snacks are perfect for Valentine's Day classroom exchanges as each pouch features a "To/From" sign on the front panel. I like that there are only 45 calories per serving. Each box retails for a suggested $4.99. Welch's® Mixed Fruit Valentine's Day Fruit Snacks are available online at Target.com as well as in-store at Walmart, Target, Walgreens, and other local retailers. These are so cute and I mean, let's face it: Who wouldn't want an emoji face on their Valentine's Day treat?